A creation of the mad scientist, Dr. Gero, Tabitha is far from an android. With the doctor growing older and believing in eugenics, the belief that intelligence can be passed genetically, the doctor felt he would have an heir to his legacy. Using the genetics of some of the greatest warriors at the time, such as Tien Shinhan, the child Warrior named Goku, Yamcha, Kuririn and the demon king Piccolo as well as his own, he created what originally was known as Creation #12. The genetics used for #12 though backfired on Gero, the nature overcoming his nurturing. While the creation was capable of feeling hate, rage and fury, they were often overwritten by Goku's carefree nature. #12 became a scrapped project, willing to rebel against the doctor for the mere purpose of being free. Because Dr. Gero's genetics were part of the creation though, his creation had become somewhat of a child of his and he could not bring it upon himself to destroy it. Instead, Project #12 was put aside in a stasis tube until he could find a way to override the nature of his creature. Come the arrival of Cell, however, her chamber becomes breached when the present day Cell's creation chamber is being destroyed by Kuririn and Trunks alongside the computer that was keeping her chamber in check. They had completely vacated the premises of the lab by the time #12 had completely woken up. During the Cell Games, #12 began to discover her identity, both the light and the dark. Soon, she came up with the identity of Tabitha Gero. In the Post-apocalyptic world that Mirai Trunks comes from, Tabitha's arrival starts after 17 and 18 kill Gero and destroy his lab. In the process, they damaged the pod that contained their 'sister' and it released her. While she went through the same identity process and created the identity of Tabitha Gero for herself, she found out about 17 and 18's destruction around the cities and attempted to stop them. However, not knowing about any of her abilities, she was easily defeated by the twins. However, after a little while while the twins were ransacking the world further and Trunks was learning about his potential from Gohan, Tabitha quickly made herself aware of her abilities. The unique combination of DNA had given her a quick learning mind. It did not take long before she learned of her abilities and was able to hold her own against 17 and 18. She was not without defeat, however, while she could last long against the two, she was at best as strong as 18. Soon, when Trunks returned from his trip to the past and destroyed the Nefarious Cell, there was more or less a call, for a new kind of hero. Tabitha, or as the new Z warriors from this time call her, 'Tabby', has a high admiration for Trunks as the last of the Saiyans on Earth and for his ability to single-handedly destroy 17 and 18. It did not take long for the two to 'click' either. 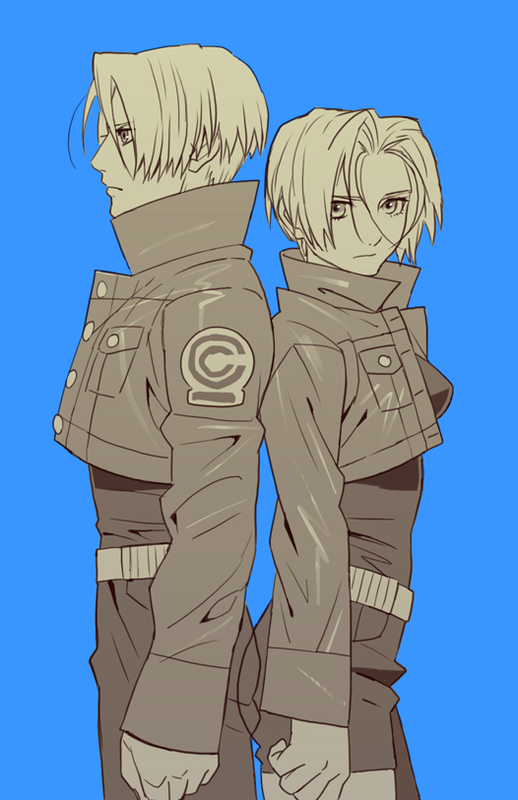 Despite her dark origin and the connection to the evils that tortured the planet, Trunks holds nothing against her. As a sign of her affection as well, she has made a uniform out of dressing similarly to him.